Hi there, how are you doing? I hope you have had a good couple of weeks. Mine have been on the whole brilliant with lots going on. A few weekends ago I was up in Liverpool for the Grand National Weekend. I had a fantastic weekend. I always enjoy myself up there and needless to say owing to the rather large event happening, the place was buzzing. I stayed with my mate Jeff Nolan. I travelled up on the Thursday. He met me off the train and we went for a catch up in his local pub. He lives near Aintree, so the place was packed with very smartly dressed people. Who had been enjoying the first day of racing. Now we had obviously had this conversation previously but I had forgotten somehow. I was staying with Jeff from the Thursday night through to the Sunday. So as we are talking I say, it must be your first Wedding Anniversary soon? To which he replies yes it is this Saturday. What sort of mate am I? I had pretty much invited myself to stay and in the process managed to gatecrash my friend’s first year marriage celebrations. Not ideal but at least I was there to wish them both a very happy anniversary on the day itself in person. And I did buy them both a drink. We actually went to Aintree for Ladies Day on the Friday. All dressed up in our suits and looking pretty smart and dapper, if I do say so myself. We did pop to the pub for a few pre racing drinks. But don’t judge us, we were not the only ones, pretty much everyone had the same idea. And the place was packed. I have to say I did spot some of the women wearing some pretty eye catching outfits. As you would expect for Ladies Day of course. I enjoyed the afternoon. Slightly helped by the fact, we had a couple of winners between us. Which always aids the enjoyment I find. To beat the rush we headed in to the centre of Liverpool just before the last race to continue the party. 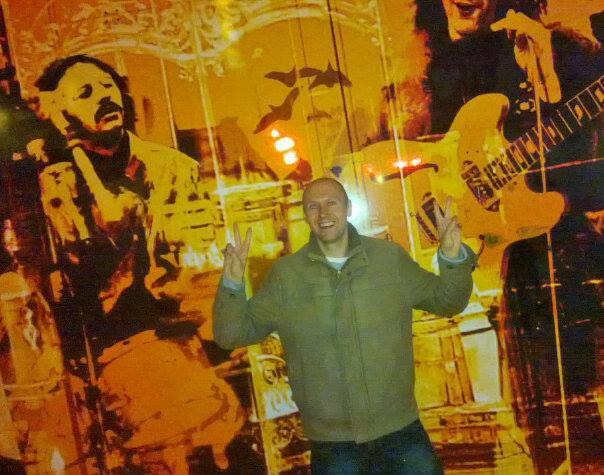 We visited a few different venues including a couple with a Beatles theme. 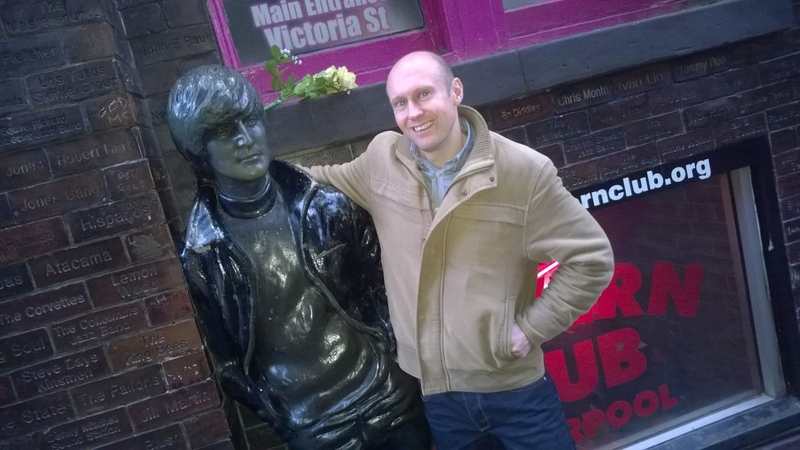 We went to the Hard Day’s Night Hotel and popped in to The Cavern Pub for a quick Fab Four sing-song. It was a great day out with good mates. I would recommend a day at Ladies Day to anyone. The atmosphere is great and the fun continues long after the racing has finished for the day. On Grand National Day itself we went round to Jeff’s parent’s place to watch the Swansea against Everton game. He is an Everton season ticket holder so there was no way he was missing the match. Then when it had finished we headed to the pub the watch the big race. 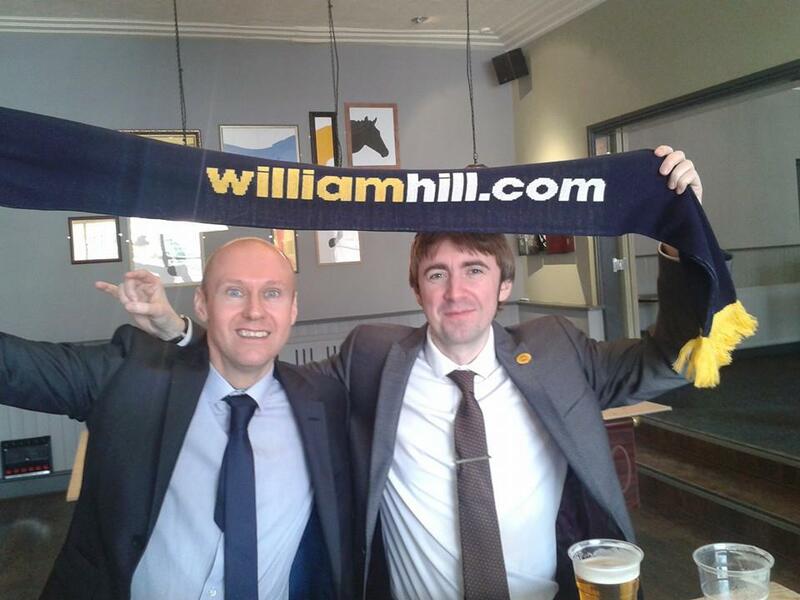 After visiting the bookmakers on route to place our bets. I thought it was an enjoyable and exciting race and thankfully all the horses were fine at the end of it. None of the selections I made on the day were successful but I did manage to win the Wembley Sweepstake. So thank you to Many Clouds and jockey Leighton Aspell for making that possible for me. I also managed to pick the winner of the Scottish Grand National the week after. So again thanks to Wayward Prince and the jockey Robbie Dunne. 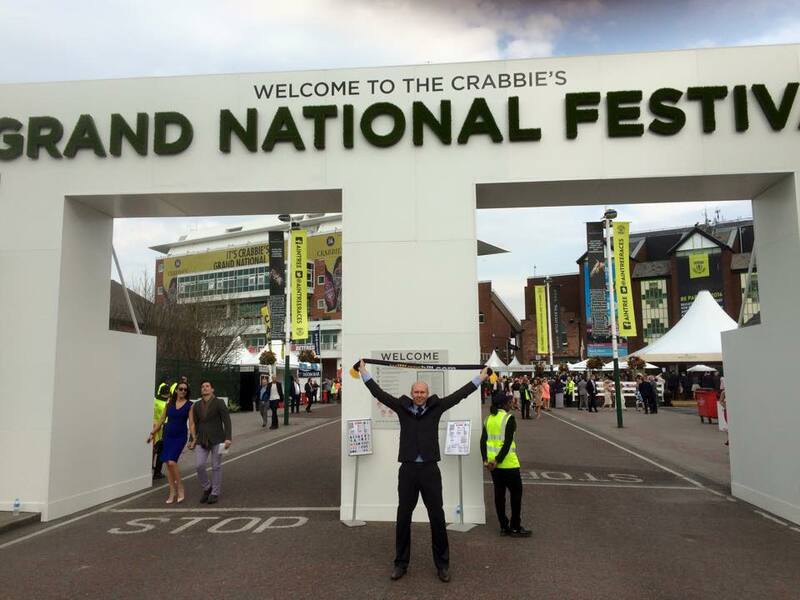 It is a shame I did not pick the winner of the Irish National to complete the treble. In Liverpool on Grand National Day it is fair to say the celebrations continued well in to the evening. It was a great weekend, so much fun. Thanks to Jeff Nolan and his family for putting up with me. And apologies for spoiling their celebrations. I am already looking forward to my next visit up there at the end of May. To witness the end of the Premier League football season. On the train journey home from Liverpool I managed to do something that I have not done for years. As I was getting on my second train of the day I was putting my luggage in the rack above the seats. When I caught my funny bone on the top of one of them. I had forgotten what a totally odd feeling that is. There is that quick shot of pain that only lasts for about a second or so. Then your whole arm goes instantly numb and feels really weird for the next few hours. Hopefully it will be a while before I hit it again. But it has confirmed to me that it is called your funny bone because it is different not because it will make you laugh when you hit it. 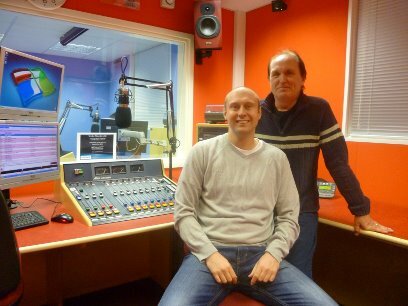 For the last couple of Summers I have had a brilliant time working with Regatta Radio in Henley. 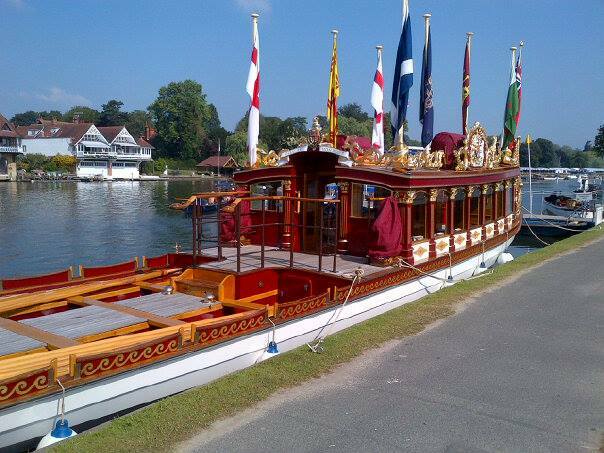 To bring full coverage of the Henley Royal Regatta to the airwaves. Sadly I have been advised that Regatta Radio will be taking a break this year and will not be broadcasting at the event. They do plan to return next year though. Hopefully working more closely with the event’s organisers to provide even better coverage. There is still a chance I could be involved when they do return. 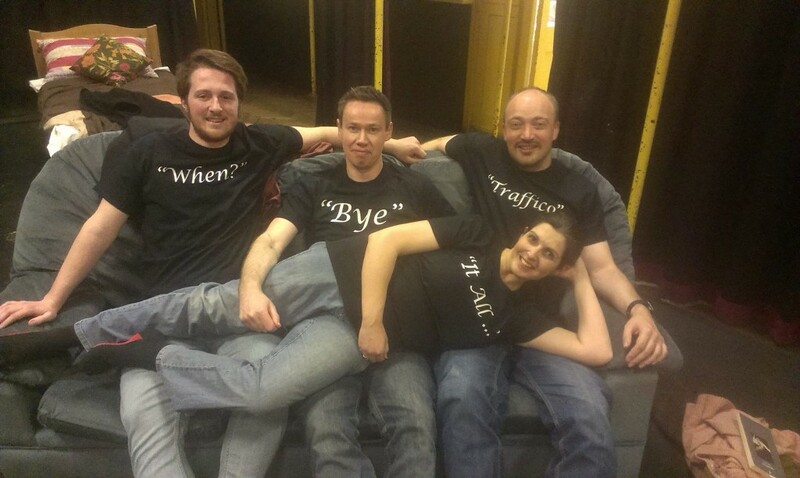 I am really going to miss working with the extremely hard working and enthusiastic team there this year. I have learnt so much about rowing over the last couple years, thanks to mainly the very talented commentators we had working with us there. Although as I am not going to be working there this year. I may have to spend a day there actually just enjoying the rowing. If I can get myself a ticket of course. You will hopefully be pleased to hear that my crown fitting is complete and went well. And that I am now the proud owner of my very first crown. The first of many I suspect. I was surprised by how quick the final part of this procedure was. I got to the dentist, sat in the chair. She then fiddled about with my mouth for around a minute. Yanked the temporary one out and then literally banged in the new one. Then she just did a bit of filing and the job was done. I was in and out in five minutes. Despite being told that I could eat or drink with it straight away. I still waited two hours to do this so I felt safe with it. Old habits die hard I guess. It was all happening this week. As well as the dentist’s I had my annual eye test at the opticians. Now as a glasses and contact lens wearer I do always like these regular appointments to make sure my prescriptions are up to date and that my eyes are in good health. So after all the normal and obvious tests. With the whole better with, better without questions, with the different lenses held up to your eyes. Where most of the time I find I can’t see any difference between them at all. Anyway after those tests, they do a few other checks including a field of vision test. Now this is probably just me but it reminds me of the sort of test that Yoda would have set Luke Skywalker at the swamp in Star Wars. You do one eye at a time. By sticking your head in to this machine and focusing on a single red light. Then you have to press a button to show how many green lights you see flashing, every time the red light moves. It is a game I weirdly really enjoy. I am a very competitive person and I like winning. So I was really trying my at it best. In my excitement I did inform the optician that I was very competitive. So when she gave me my score at the end. She said that I got one hundred percent. Now I am not totally sure if I did or if she was just telling me that so I would feel pleased with myself. But I did walk out with quite a spring in my step. Talking of Star Wars I did see the second teaser for the new film last week. It looks absolutely brilliant and I loved the the fact we got to see some little snippets of the original stars including a shot right near the end of it featuring Hans Solo and Chewbacca. It is fair to say one of them does appear to have aged better than the other. I really can’t wait for it to come out. But I will have to be a little bit patient, as it is not due to be released until the 18th December. I now wish that I did not sell all my original Star Wars figures a couple of years ago. It is going to be an extra special Star Wars Day on May the Fourth this year, I think. As with everybody’s lives there is light and shade and good and bad days. Last Wednesday I attended the funeral of my Uncle. The last time I had seen him was New Years Eve. I gave him a lift home after a party. He was happy, had enjoyed a good evening. And was ready for the start of the brand new year. He died after a short illness in hospital. The last memory I have of him, is how I intend to remember him. My thoughts at this time are with my aunty and my two cousins. The day itself was a celebration of his life, which is what I believe these things should be. RIP Uncle Kevin. You may or may not have heard about a new web streaming app that has recently been launched called Periscope. Basically it can give you the ability to broadcast live to the internet through your mobile phone or tablet. So you can do short video broadcasts, which will go live to a web page and then will stay stored on your Periscope account as videos. I have just started using it as have Philip Schofield, Tony Blackburn and Chris Moyles to mention but a few. So if you have the app or follow me on twitter. 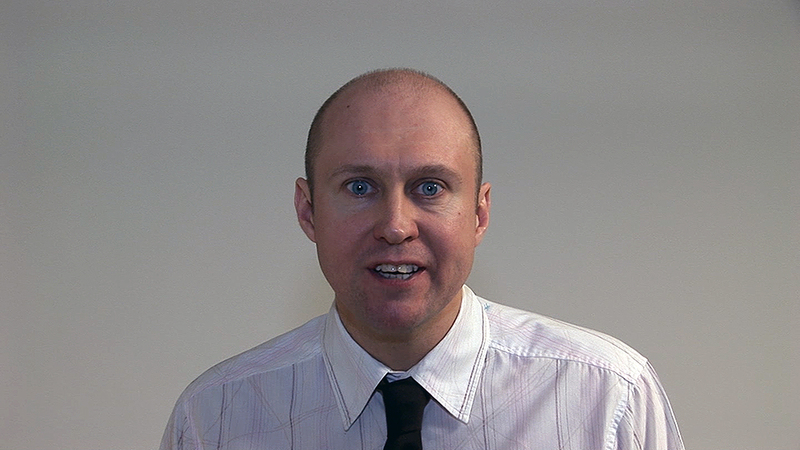 Do keep an eye out, as I will be producing more and more live webcasts and videos on there over the coming months. 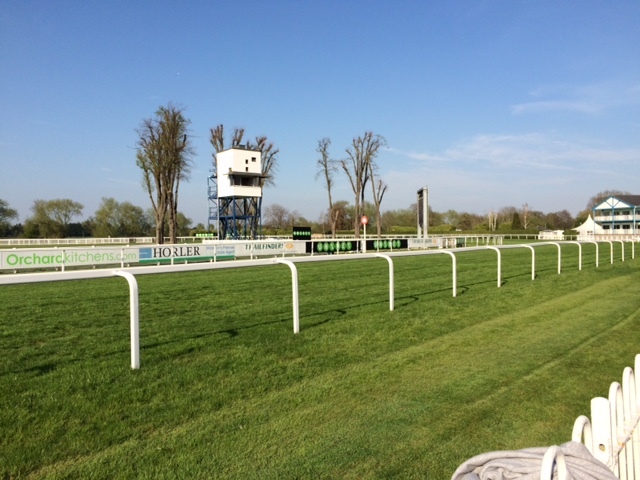 I went along to Windsor Races with my parents recently. I am partial to a bit of horse racing and Windsor offers great Monday evening race events all the way through the summer. Normally with some great post-racing entertainment. Windsor is a lovely little, friendly course right next to the Thames. So it is a great place to spend the evening, in my opinion. The parking there is great, the portions of the fish and chips are quite unbelievable and they do get a lot of the top jockeys and trainers there. I had a good night with two winners and a place bet coming in. Which does all add to the enjoyment, if you can correctly select a few horses. Watching the races certainly gets the heart rate up and gives the vocal cords a good work out. Or it does for me at least. I suspect I will be back there a few more times over the coming months. Over the next week or so I am going to be seeing a few different television shows being recorded. Which I am looking forward to. As it is always fun in the studio watching these programmes being put together. The first of these will be The Last Leg with Adam Hills, Josh Widdicombe and Alex Brooker at the Fountain Studios in Wembley. I am then also returning to the same studio just a few days later to watch an episode of Play To The Whistle being filmed with Holly Willoughby, Bradley Walsh and Sean Walsh. Then finally a couple of days later I am off to the Elstree Studios to see Celebrity Juice being filmed. I am slightly concerned that Holly will think I am stalking her. When I keep turning up at every single place that she is working. They all feature top comedians. And are mostly light hearted shows. Who do not take themselves too seriously. So they should all be a right good laugh. Which is always a very important part of my world. Hi there, how are you doing? I hope you have had a good couple of weeks. Mine have been great with quite a bit going on. 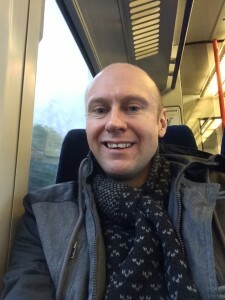 I managed a celebrity spot on the train in to London the other day. Now to be fair I already knew that this particular person lived in this certain location, so I was always keeping an eye out for them every time I stopped at their station. So statistically it was bound to happen eventually and it did on that morning. I was just sat in my seat minding my own business when the unmistakable figure of Robert Lindsay walked past and took a seat slightly further down the carriage and facing me. I was close enough to hear the full conversation he was having with his friend, with that wonderful and very distinctive voice that he has. So I am well up to date on his latest projects and immediate plans. He is a truly great all round performer. He can do it all act, sing, dance the lot. Most recently he has been starring in Dirty Rotten Scoundrels in the West End. In the eighties he was starring in the musical Me and My Girl. When it was in London and then he went with it when it transferred to Broadway. In that show he does an amazing version of the Lambeth Walk. He seemed like a really nice friendly and approachable gentleman. So hopefully it will not be long before he is back on our television screens again. A few Saturday’s ago I went and saw my mate Andy Holmes perform in the Harold Pinter play Betrayal at the Queens Park Arts Centre in Aylesbury. If you are already familiar with it. You will know that it has three main roles. One of which, he was playing. 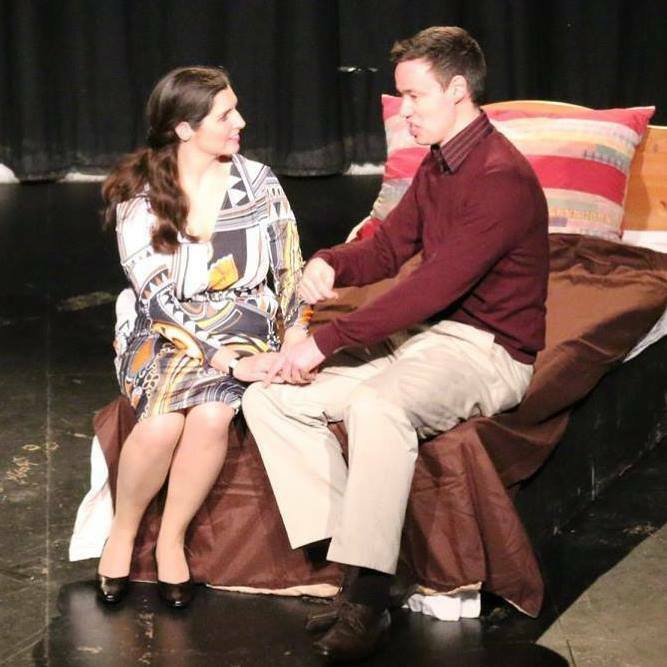 It is always slightly odd I find seeing a friend performing on stage. You want to enjoy the show but you are also just rooting for it to go well for them at the same time. I have seen him in a couple of things before but this was possibly the most dramatic piece that I have personally witnessed him in. I really enjoyed it. I thought the whole cast were great. And I know from speaking to Andy the time and effort that they had all put in to it, to make it work. Which I think showed in the performance. He did have a couple of kissing scenes in it. In the fairly busy bar afterwards he made the mistake of asking me what I had thought of his love scenes, to which I replied well that is the most action you have had in ages. He did tell me later that the actress who he had to kiss actually had her husband in watching that night. Now I am no actor but that has to be a little bit awkward surely. It was a lovely fun way to spend the evening and congratulations to everyone involved with the production. After seeing the play I then went to a pub in Aylesbury for a quick fortieth birthday drink with someone I have known for about twenty years now. His name is Colin Morton. We met when I joined Stoke Mandeville Hospital Radio. This is how and why I decided to join. 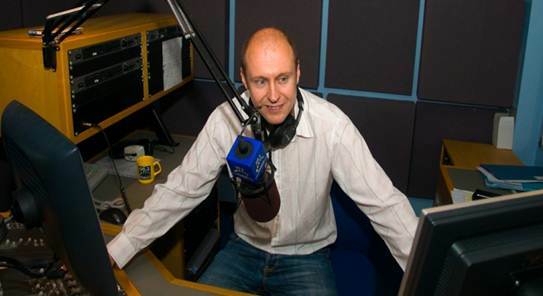 It was while I was in my final year of a Leisure and Tourism course at Aylesbury College that I really developed an interest in radio. Mix 96 had recently launched in Aylesbury, so I wrote to them and managed to get a week’s work experience there. It was while I was there during that week that someone suggested that I joined the local Hospital Radio, so I did. Colin was already there and had his own show. You start out as a producer gathering requests from the wards. Then you get trained on the equipment and hopefully get your own show. All of which I did. Colin then got a job at Mix 96 hosting the evening show and the Saturday Sports Show. I have to thank him really for getting me involved in the Sports Show. As I think he suggested me, when they needed someone to come in and ring up all the local football clubs to get the scores. And then to read out the half time and full time scores from these games. Which I then did. And the rest as they say is history. That is what really gave me my break in radio, if you like. 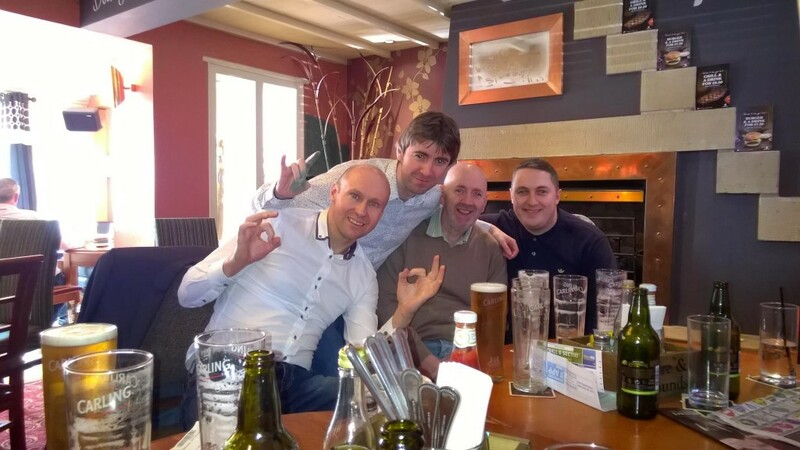 So it was great to see Colin and Andrew Duthie, who was also there for a nice catch up and to talk about old times. 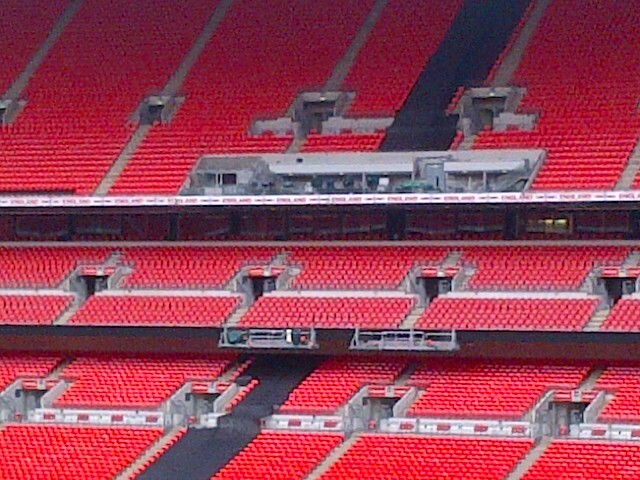 I am still doing quite a bit of work at Wembley Stadium. I was there taking some people around on behalf of the Football Association before the FA Trophy Final between North Ferriby United and Wrexham. I was taking a select group of North Ferriby fans round. It is always great to be there on a match day. Walking through the Mixed Zone, being in the players tunnel and then going pitch side. You can really feel the excitement of the occasion building up. It was a cracking game as well with the underdogs winning five-four on penalties after a three all draw in extra time. 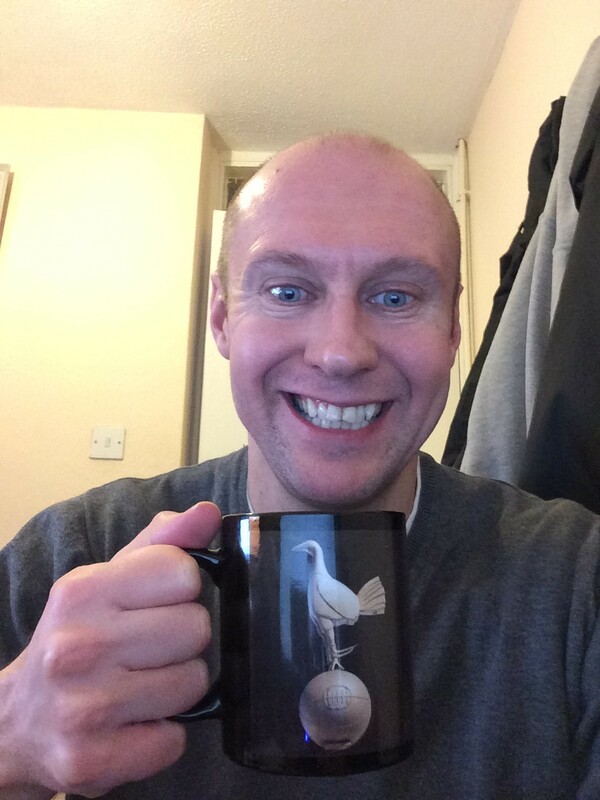 So well done North Ferriby United. I like to think my tour was a lucky charm for them. I think some special praise needs to go to the Wembley ground staff to. On the Friday Night England played Lithuania there. Then on the Saturday a Rugby Union game between Saracens and Harlequins took place. 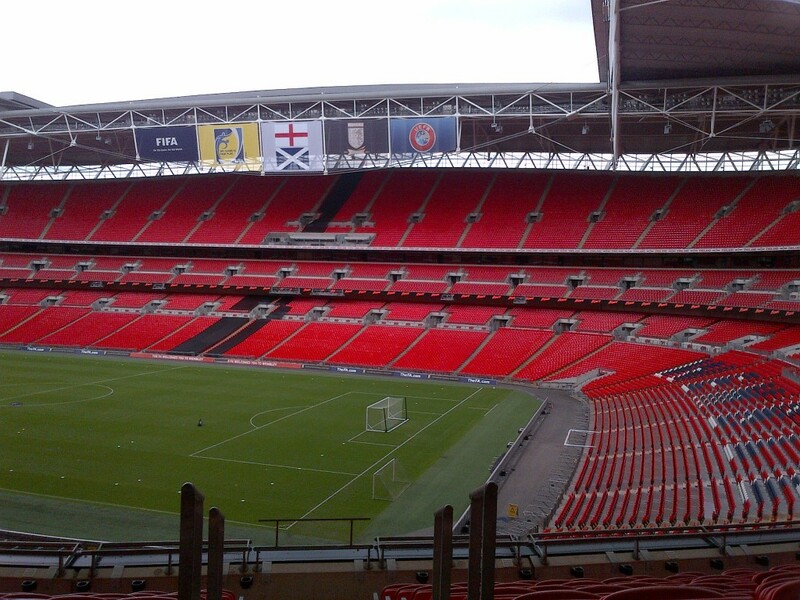 And then the FA Trophy Final was there on the Sunday. The pitch looked perfect and there was not even any trace of the rugby pitch markings from the day before. It is always good to do new things in life and experience things for the first time. So last week I went for my first ever crown fitting at the Dentists. This was required because I have had a root canal treatment. And apparently to protect the tooth you need a crown on it. So to make sure that the finished crown fits they have to take impressions of your teeth. I have to confess I didn’t find that process much fun and it does not leave a very pleasant taste in your mouth at the end. It seemed like she took an impression of all my teeth not just the one required. So I am now slightly concerned she may be worried that all my teeth may be falling apart, and that she will need to replace them all. I have a temporary one on at the minute with the proper one due to be fitted in a week or so. Wish me luck. 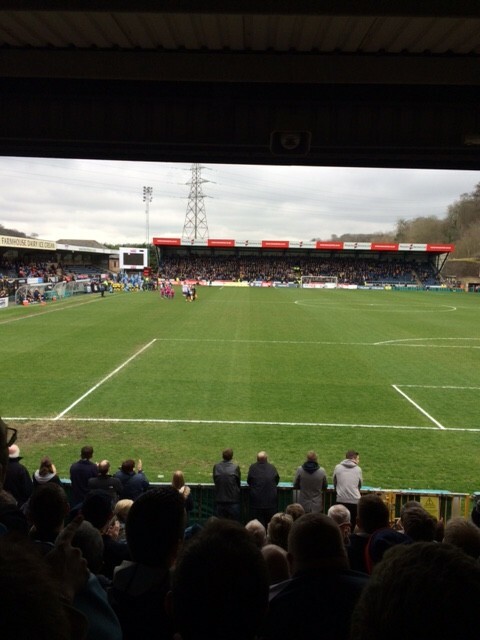 On Good Friday I went with my mum to see Wycombe Wanderers play Oxford United in League Two. Now as a teenager I was for a couple of years a season ticket holder at Wycombe. I also briefly played for their under sixteen side and I did have a trial game for their youth team. However I did not get selected. I instead went and played for two years in the Aylesbury United Youth Team. Funnily enough my first game for them was in a one-nil win against the Wycombe Wanderers Youth Team in Beaconsfield. The Wycombe/Oxford game was pretty poor for the home side specially in the first half but they did battle back and make a fight of it in the second half. Although ultimately it was in the end a very disappointing result for the team who are currently chasing promotion. Plus let’s face it no one likes losing to their local rivals. 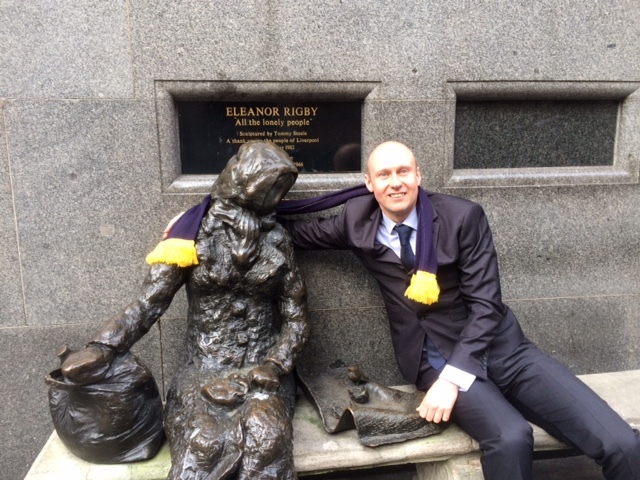 Before the game I managed to catch up with a couple of people I know. Firstly Daniel Freeman, who was there to report on the game for Sky Sports and my good friend Nathan Cooper, who was there covering the match for BBC Radio Oxford. Strangely the three of us have all previously worked on a game together before. When I was working at Ivel Fm in Somerset, Yeovil Town then managed by Russell Slade got to the League One Play Off Final at the then newly built Wembley Stadium in 2007 against Blackpool. We managed to get full commentary rights to broadcast the whole game live on the radio. To do that we needed two excellent commentators to help us. I already knew Daniel and Nathan and luckily they were up for getting involved. So the three of us produced a full show from the National Stadium with Daniel and Nathan as the two commentators and me operating as the co-commentator for both of them. While presenting the show before and after the game. It was a busy but fun day out and I thought we did a brilliant job covering the occasion. It was great to see them both at Wycombe and good to see them still doing at excellent job reporting on football matches and bringing them to life on the radio and television. Last Saturday it was the final show in the current series of the brilliant Ant & Dec’s Saturday Night Takeaway. Once again there was nothing missing from the programme or the series. In my opinion it has taken all the best bits from about twenty different big Saturday night television shows from the past and put them all into one show. In handy bite size sections. But it all works so well and is great family entertainment. This weekend we will still be able to see the Geordie boys on our screens. As the new series of Britain’s Got Talent starts on Saturday. 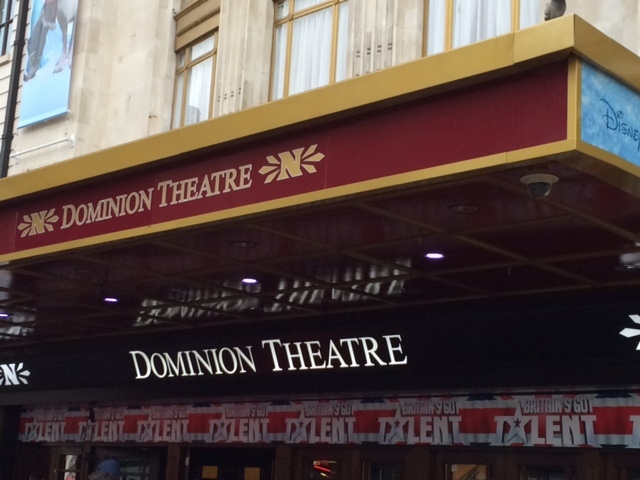 And if the first instalment is anything like the London audition show I went to see. We will be in for a crazy time. There will be acts that will take your breath away and leave you feeling like that is the best thing you have ever seen. And then on the other side of the scale there will performances that will make you cringe and even cause you to cover your eyes and ears, so you do not have to witness it. I don’t know if it was just the session I was at but Simon Cowell seemed a lot nicer and more compassionate in his critique. So I am not totally sure if he was just in a really good mood that day or if becoming a father has seen him mellow a bit. I reckon we will know for sure if this the case or not by the final at least. 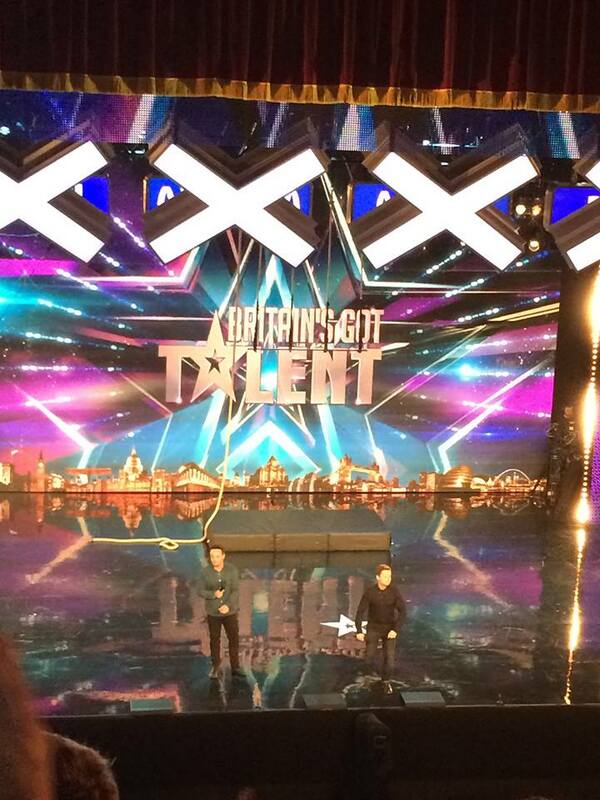 The audition shows are always bonkers and give Ant & Dec plenty of comical moments to enjoy. Good luck to all involved with it and let us hope for a worthy winner this year. I had a really nice Easter weekend which did involve eating quite a bit of chocolate. But life is all about balance and give and take, so I did actually go for a morning run on Good Friday and Easter Monday. To be fair that was not only to work off the sweets I had consumed. I did manage to have a few drinks with mates to, so these calories had to be dealt with and burned off. I met one of my friends in Marlow. Which is always a place I enjoy going to, specially in the summer. Normally for a nice walk along the river there. It really is a nice and relaxed place to meet people and have a good chat and a catch up. And it does boast The Hand and Flowers Pub, which has two Michelin Stars and is run by top chef Tom Kerridge. 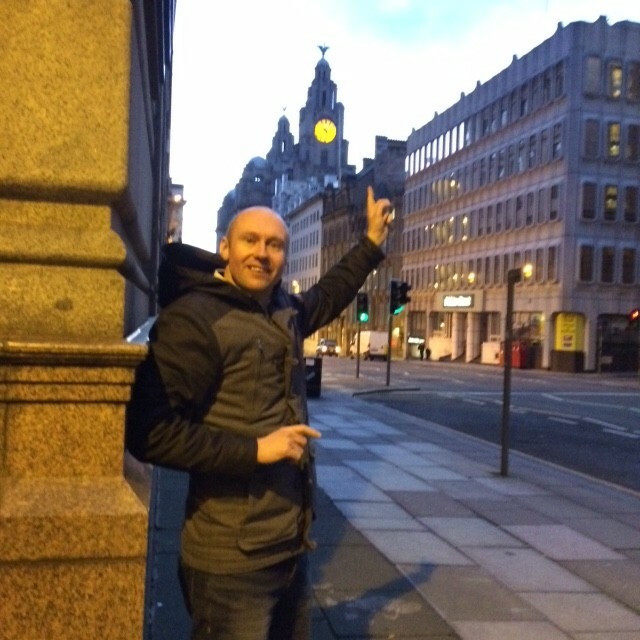 I am up in Liverpool this weekend enjoying being there for the Grand National Race meeting weekend. I love the city and always really enjoy spending time there. I came up for this festival about five years ago and had a brilliant day out at Aintree for Ladies Day. It is an amazing experience everybody really dresses up and has a top time. This time I am just up there and enjoying the partying after racing rather than being at the track itself. The place is packed out in the evenings, with either people celebrating wins or drowning their sorrows, if they have lost. For sheer atmosphere alone watching the Grand National in a packed pub in the centre of Liverpool is only second to actually being stood there on the course at Aintree itself. I will tell you more about my time in Liverpool next time we speak.